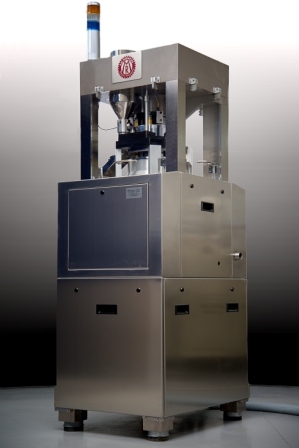 All our tablet presses are in compliance with GMP directives and with international safety standards. Marking CE on every machine. 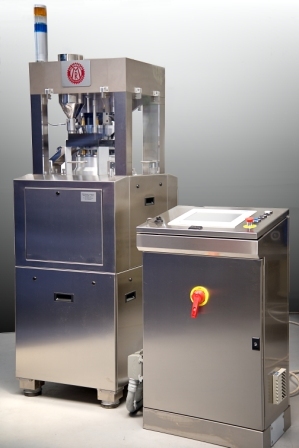 The newly designed and performing FA Top includes all its high capacity in a smaller unit. 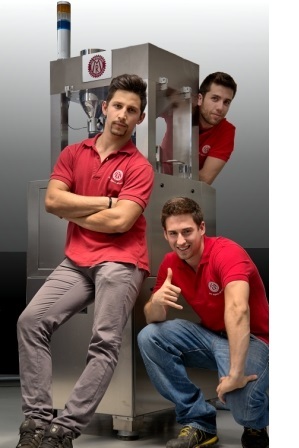 The small and sturdy FA Top thanks to its compression force of up to 50kN, is the ideal machine to meet both the needs of Research & Development Laboratories as well as those of specialized production departments. Simple and revolutionary at the same time, the FA Top is equipped with the Evolution System Press software. 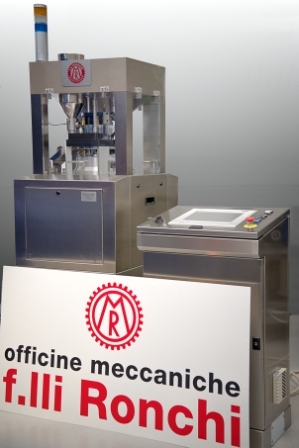 This allows to view and manage upper and lower compression forces, extraction, pre-compression and auto-regulation of compressed weight by rejecting out of tolerance tablets. E.S.P guarantees all production parameters machine, alerts, recording of historical recepies data. It provides remonte control assistance which allows software updates and maintenance. Data can be transferred via USB. Equipped with Touch Screen operating panels. An FA TOP model is available for trials at Officine Ronchi. CFR21 part 11 System is also available.